Do you have a line of credit or planning to take one? Not sure about the impact of the tax plan on home equity loans, home equity lines of credit (HELOC), and second mortgages? Citing the “many” questions it received, the Internal Revenue Service issued a bulletin last week that clarifies how these loans will be treated under the new tax plan. 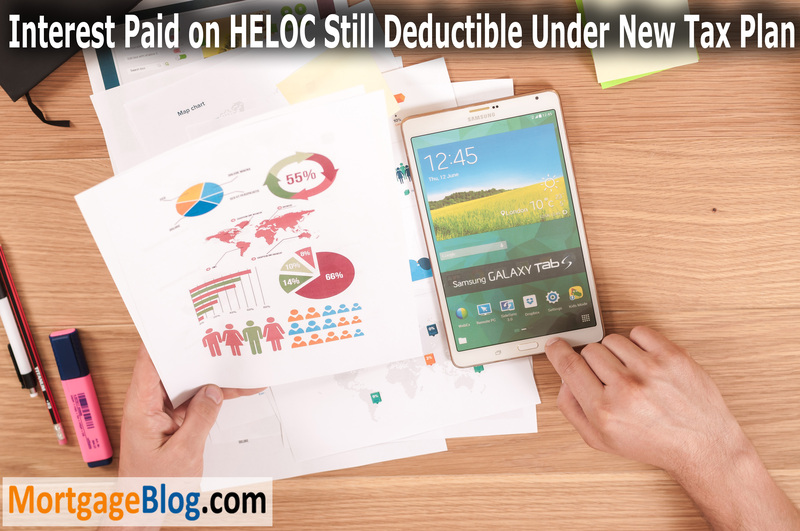 According to the IRS bulletin, the interest paid on home equity loans and lines of credit (HELOC) is still deductible, as long as the money is used to “buy, build or substantially improve” the taxpayer’s home that secures the loan in question. Note that the maximum loan amount for which interest can be deducted is $750,000. That is for first and second mortgage combined for all residences (primary and vacation/second homes). The mortgage interest deduction limit for a married taxpayer filing a separate return is $375,000. These figures are down from the previous limits of $1 million, or $500,000 for a married taxpayer filing a separate return.